Janine Tugonon | PADDYLAST INC.
Heya guys! 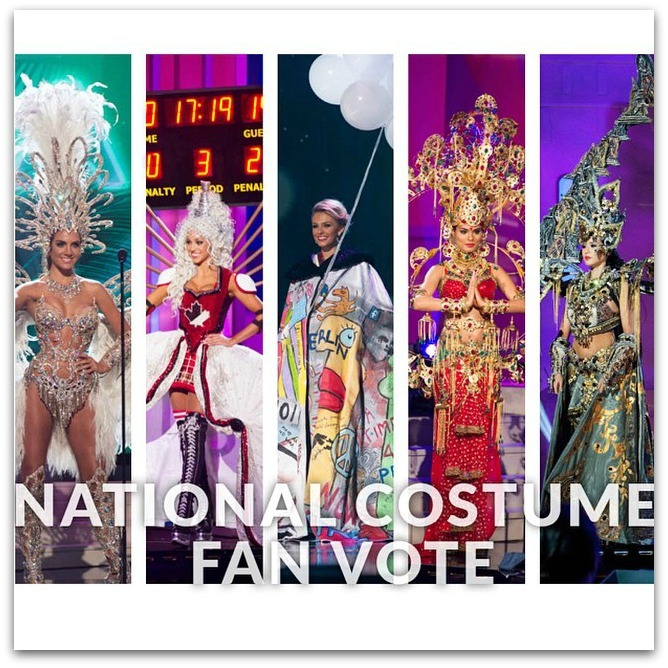 It’s prediction time and I am yet again sharing my very own top 15, winners and some thoughts about the coming finals this Sunday of the 63rd Miss Universe Pageant! Argentina’s costume represents one of the Seven Wonders of the World, Iguazú Falls. The impressive gown is covered with glossy stones that resemble Iguazú Falls rocks and water. 4th Runner-up: The last three years saw Brazilian delegates sailing through the Top 5 and not quite getting the crown. This year, they sent another strong delegate in the name of Melissa Gurgel – the girl could definitely make it again but I don’t think she’d be able to place higher than the rest of the Top 5. 3rd Runner-up: She was a favorite since she won her national pageant and she’s got the Latin support of the host city. She’s got a body to die for, an exquisite evening gown but her presentation doesn’t give me a vibe of a winner – at least not at the preliminary so she’s got to settle for a 3rd runner-up finish. Take your place, Paulina Vega – Miss Colombia! 2nd Runner-up: Kaci Fennell haircut may have been the main reason why she’d effortlessly stood out from the sea of beautiful ladies during the preliminary competition. The girl is edgy, modelesque and quite articulate if you’ll base it on her web interview. Now her being edgy could also go against her – she could win it all or settle for 3rd place. There you go, Miss Jamaica! 1st Runner-up: If Nia Sanchez went on to compete during the 2012 Miss Universe pageant, she could very well win it in Vegas the way her compatriot Olivia Culpo snatched the title from then favorite Miss Philippines Janine Tugonon. 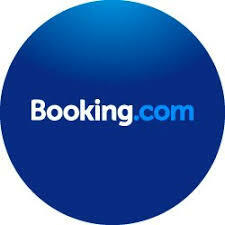 But now, it’s the 63rd edition of the pageant and is again being held in the U S of A. Will it be a repeat of 2012? Possibly yes – a repeat of the last two standing but another crown for a Miss USA? Very unlikely. She’s got to settle for a runner-up finish this time. Now my final pick to win the 63rd Miss Universe pageant is none other than Miss Philippines, Mary Jean Lastimosa. It’s been more than four decades since the Philippines has won its last title via Margarita Moran who won the title during the 1973 edition held Greece. And from the last four years, the Philippine delegates almost won the crown but something seemed to hinder their utmost desire to clinch the title. Janine Tugonon came very close when she finishes second to Olivia Culpo in 2012 but it’s still an elusive pursuit for the Philippine queens until now. With MJ Lastimosa battling it out with 87 other delegates, its looks like things are heading her way and with her smooth performance all throughout the pageant – she may very well be declared the brightest star in the universe. 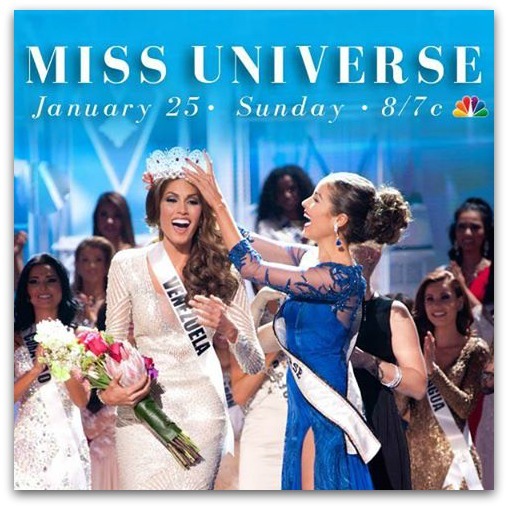 Mark your calendars for the 63rd Annual #MissUniverse Pageant LIVE Sunday, January 25th at 8/7c on @NBC. All 88 contestants will compete for the @DIC Crown. Don’t miss it! Throwback Thursday : 2011 Binibining Pilipinas – The Crowned Ones! Who would’ve thought that the day would come that each one of these girls are all going to be Binibining Pilipinas crowned queens? Ofcourse the three are already winners from this batch, (Binibining Pilipinas-Universe Shamcey Supsup, Binibining Pilipinas International Diane Necio and Binibining Pilipinas Tourism Isabela Manjon) then a year later, Janine Tugonon (1st runner-up) was crowned Miss Universe Philippines whereas the 2nd runner-up Mary Jean Lastimosa who also participated went home empty handed. This year though, it’s still very fresh to us since it just happened last Sunday when Lastimosa finally grabbed the Miss Universe Philippines title. What a beautiful batch indeed because all of ’em are winners! 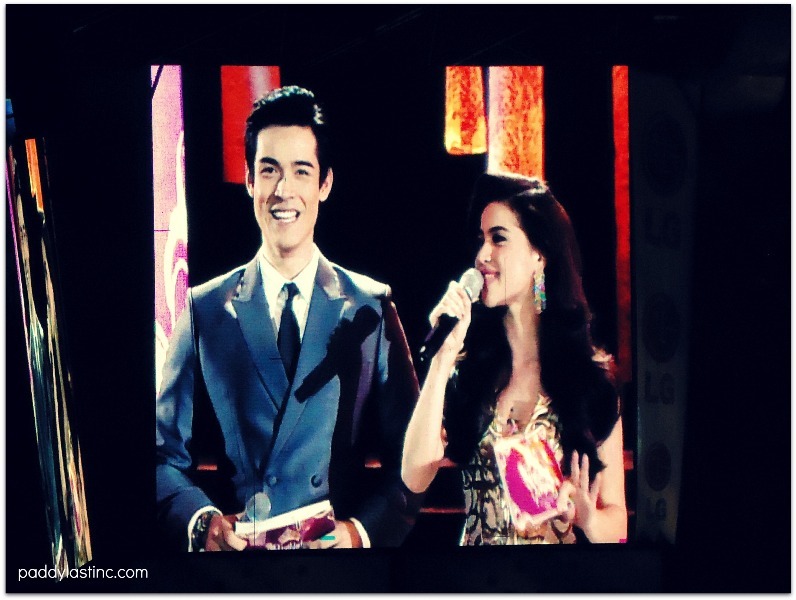 Hosts: Upon learning that Xian Lim will be back to host the event, I was initially disappointed because I thought he did poorly during his 2012 stint. This time though, I was pleasantly surprised because he’s not one bit annoying. He brought with him enough charm to woo the live audience and this year, it went smoothly for him. Good job Xian! Anne Curtis was of course the darling of the crowd last night. She’s very charming and SO VERY, EXTEMELY BEAUTIFUL! She even belted “Alone” off air while the judges were having their deliberation of the winners. The audience just totally loved her! On Venus, Shamcey and Janine: Venus is definitely now a pro in hosting. She did extremely well and looked every inch of a beauty queen! It’s a wonder why until now she’s still in competition form! Just amazing! Shamcey on the other hand was beautiful as ever but she sounded too scripted and too hurried. When Janine first appeared, there was a unanimous opinion in our row that she looked unkempt – it must be the hair though. Her second number though was rather alluring and she made it all up from her disastrous first styling. Overall, the three girls did really well. 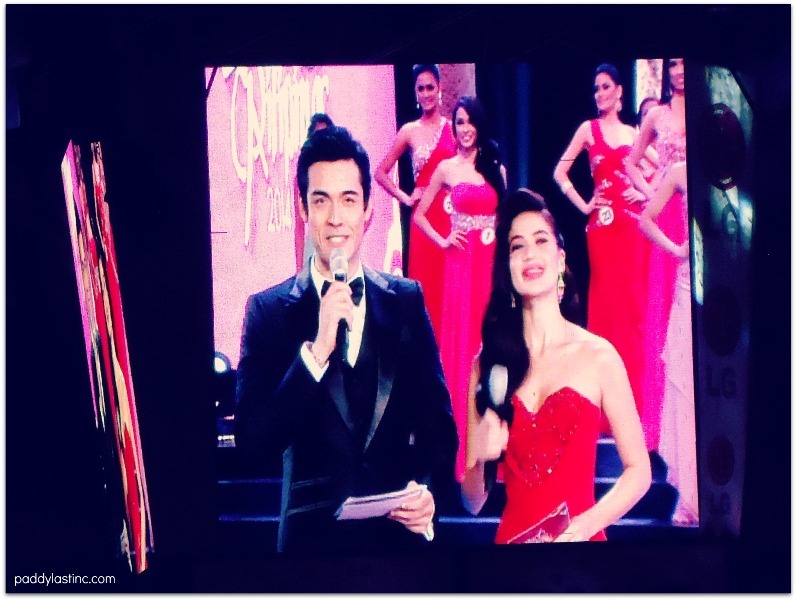 Opening Number: The opening number which includes the intro of hosts Xian and Anne and of course the introduction of the contestants reminds me so much of the 2011 Miss Universe pageant – it must be the color coding of their outfits. The Swimsuit Competition: One word – BRAVO. 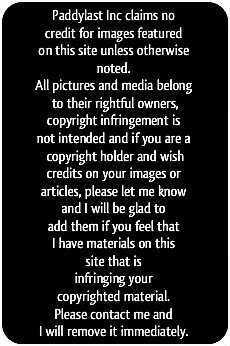 Madam Stella really step up this time around (this I believe totally impressed Miss Universe president Paula Shugart and co.) The ladies are wearing expensive looking swimsuits inspired by the festivals in the country. I love that they were divided into four groups showcasing four different festivals from the Philippines. The Evening Gown Competition: Oh I just love this part! This is where the eventual winners really stood out! My favorite gowns are from Parul Shah, Bianca Guidotti and MJ Lastimosa. The “White Gown” myth also got into us and made us a bit nervous. Oh, I also love that this segment was super fast! Best in Swimsuit: I was so happy that finally, MJ was awarded this well deserved title. In 2011 and 2012, I thought she was robbed big time – now, “the body” of the competition was rewarded justly. 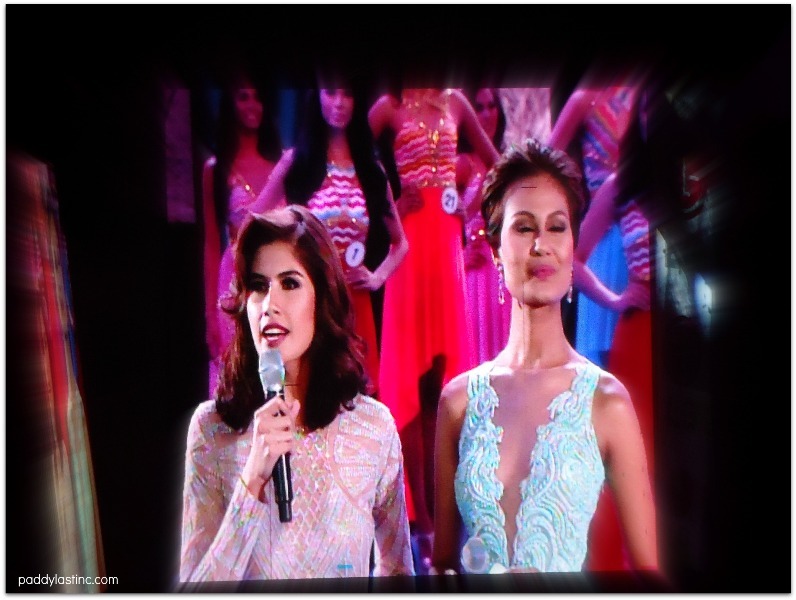 Best in Evening Gown: I really thought that this award was just a toss up between Bianca Guidotti and MJ Lastimosa. Bianca was awarded the title which I think was pretty fair. The Announcement of Top 15: Pia, MJ, Bianca, Yvethe and Kris were already shoo in for the semis followed closely by Parul, Tiglao and Lehmann. The rest are surprises for me and it was with sadness that Diana Arevalo and Kim Suiza failed to make it into the semis – esp Suiza because she looks absolutely ravishing last night! Laura Lehman was asked for her favorite city that best represents her and she answered Armsterdam. I thought it was a cute answer but it could’ve been better if she chose something close from home. Ya’ll know what I mean right? Mary Jean Lastimosa – well, what can I say? Like her answer, the girl was very much composed upon answering her question. She gave it her all and the audience just loved it, even reigning Miss Universe Gabriela Isler who asked the question looks very impressed! Bianca Guidotti‘s answer was very short and lacks conviction. After her turn, I immediately pegged her for a runner-up finish but clearly, her charm was undeniable in delivering her thoughts. Nichole Manalo faltered and received an awkward applause from the audience. Parul Shah was very studied and calculated which I think works well for her. Yvethe Santiago was really mesmerizing on screen and in person. Her answer along with Lastimosa, Shah and Janson were the clear stand outs! 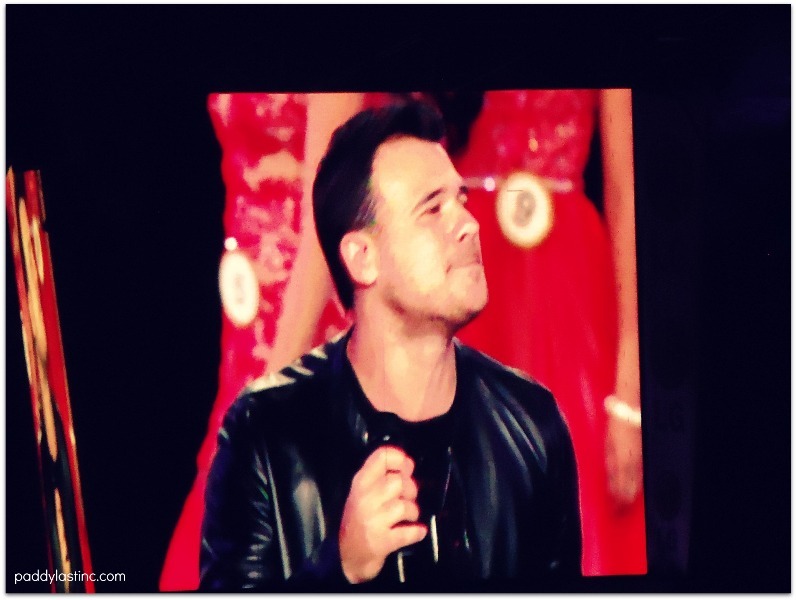 Kris Janson’s answer was very heartfelt that even host Anne Curtis teared up. I love her spontaneity. I guess what I didn’t like about her last night was her make up which made her looked tired. Hannah Sison gave a decent answer but she was trying a bit too hard to be charming. Nevertheless, she look so polished last night. On Emin: He’s quite a charmer and his songs aren’t that bad. On regining Miss Universe Gabriela Isler: Oh, the crowd just loved her! She’s very pretty and tall! She’s for the record the third Miss Universe titleholder I’ve seen in my life after Gloria Diaz and Margie Moran. 2nd Runner-up: Hannah Sison – my friend who’s with me (Rey) and I predicted this and we believe that the judges got it right. 1st Runner-up: Laura Lehmann – I was a bit nervous because of some rumors floating in the net that Lehman was the matriarch Stella Araneta’s favorite to win the MUP crown. I’m glad that she didn’t win it because she needs more polishing. She look so pretty though! Binibining Pilipinas Tourism: Parul Shah after her performance through the night deserved a crown and I was really hoping that she’ll get this one and she did! Binibining Pilipinas Supranational: I predicted Yvethe Santiago to win this title and my intuition was right! Now, we’ve a pretty good chance of nailing a back to back win in Miss Supranational! Binibining Pilipinas Intercontinental: As the first recipient of this title, Kris Janson made history last night after delivering a good performance and clinching this minor title. I was rather relieved when she was called because it means bigger chances for MJ to win the MUP title! Binibining Pilipinas International: Initially, I was not happy Guidotti even won a crown. I was expecting Pia to clinch this but I’m just glad she did because I figured that she and Bea have some similarities. This could really work well for her. Plus, her personality’s too contagious! You gotta love a girl with a very positive personality! >that shot when MJ was tearing up almost broke my heart. She must be thinking that she’d lose again since Pia Wurtzbach was still in contention. 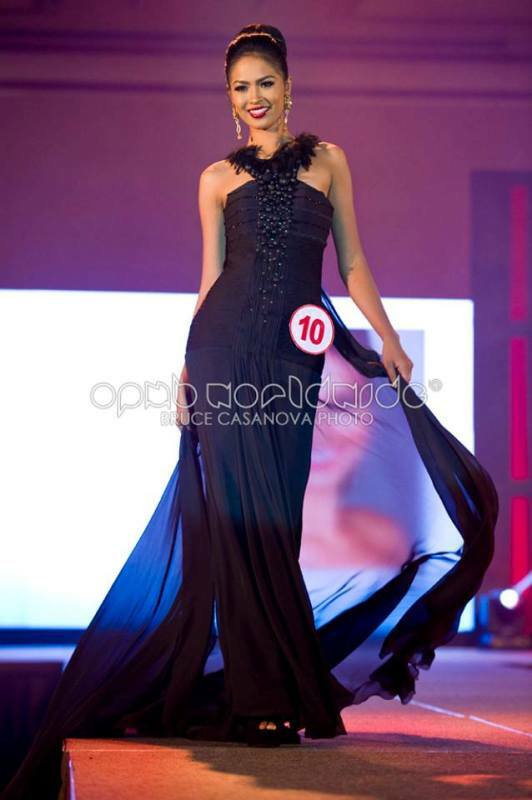 Lo and behold, her name was call the 2014 Miss Universe Philippines!!!!!!!!!!!!!!! When she was announced the new Miss Universe Philippines, I felt like crying and hyperventilating! I was shouting for joy at the top of my lungs! Finally, my girl did it and she was rewarded for all her hard work and determination! MJ finally harvested the fruits of her hard labor – it’s been a long and winding road for her but it’s all worth the wait! Megan Young Is My Miss World Philippines 2013! It would be the biggest upset of the night if Megan will not get the crown of the Miss World Philippines this coming Sunday. Megan, touted to be the one with the complete package will compete against 24 other candidates for the chance to represent the country this September in the Miss World pageant to be held in Indonesia. Like what I mentioned on my first hot picks, if there’ll be no politics in choosing this year’s winner – hands down, Megan’s in it to win it! The caliber of Miss Young is similar to those candidates hailing from the Latin pageant powerhouse like Venezuela, Puerto Rico and Mexico. Her communication skills is superb, she has an international appeal that would cater to anyone and her charm and confidence could win any judges’ approval. 2. Bianca Paz – I would give her the second best position because I feel that Bianca has been preparing for this ever since she won the runner-up position to Gwendolyn Ruais last 2011 during the first Miss World Philippines edition. It’s not a very lucky year for her because of Megan competing at the same time. It could’ve been a totally different ball game had she join last year or next year if she’s still eligible to do so. 3. Patricia Ejercitado – this pageant veteran and Janine Tugonon’s batchmate during the Binibining Pilipinas 2012 is an adorable belle that won’t also be ignored by the judges. She looks fresh and more confident this time around and I can definitely see her winning one of the runners-up posts! Good luck Pat! 4. Henna Kaizelle Nicole “KC” Cajandig has proven her rights to be in the pageant. She became a filler in this year’s Binibining Pilipinas Gold edition after initially not making it into the final 50 and because of the disqualification of Maria Theresa Fenger but she bounced back from it, gained the experience from Binibini and is now the new candidate #1. KC is pretty, fresh and very much adorable…the camera loves here so I’m betting that the judges would love her as well come pageant night. 5. Janicel Lubina – This girl has got the beauty, the body and the X Factor that any beauty pageant would appreciate. It’s just too bad that, IMO she’s still a wee bit young and may not have the wisdom to carry her to the next level. Beauty-wise, she could compete internationally but she would have to hone her communication skills more. This girl is made for Miss Universe so crowning her or even the rumors spreading of Pre-selecting her as this year’s winner would be a big mistake! 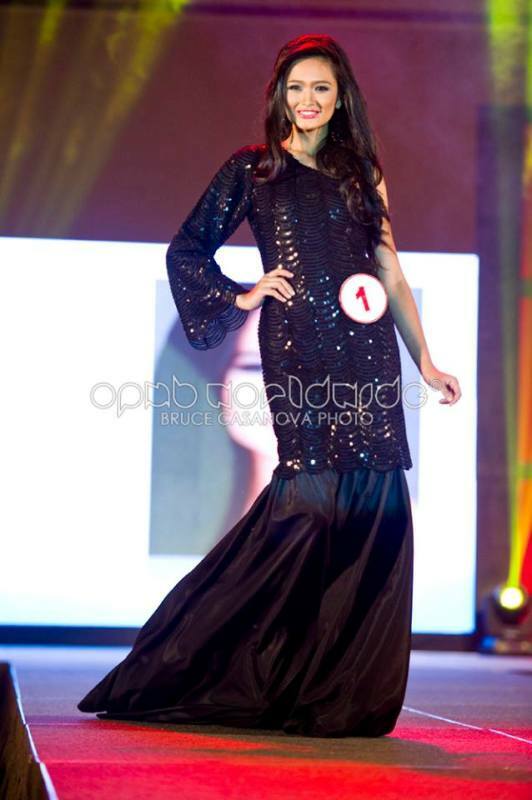 Let the girl gain some experience from this and have her join the Miss Universe Philippines pageant in a year or two! credits to the owner/s of the photos. 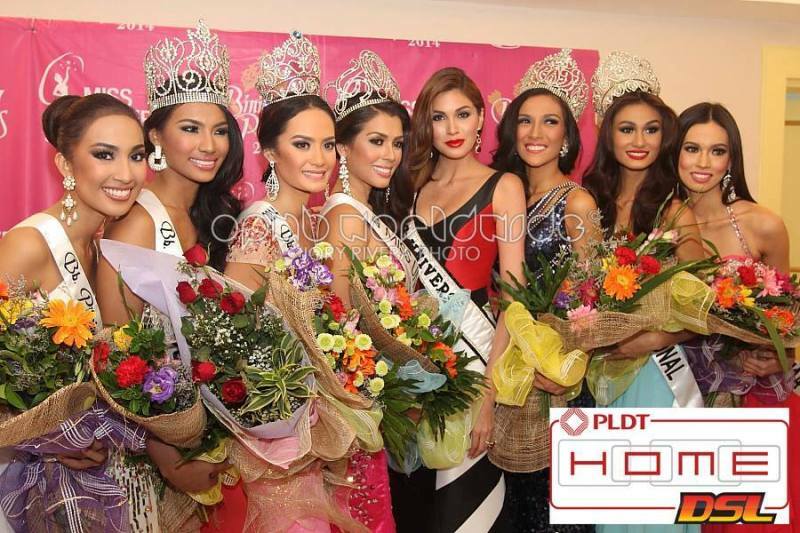 Pinay International Models and The Pinay Miss Universe runners up! All of ’em gave pride and honor to our country and in these two uber-fierce covers – they show us how they werk it! In a good- natured comparison between these two magazine covers (from Mega’s June 2011 cover featuring Ford Supermodels’ Charlene Almarvez, Charo Ronquillo and Danica Magpantay and Preview Magazine’s May 2013 issue featuring the Miss Universe Philippines’ runners-up Janine Tugonon, Shamcey Supsup and Maria Venus Raj,) whose group do you think is fiercer? It was aptly dubbed as the Binibining Pilipinas Gold as the pageant celebrates its 50th edition this year. With the finals night concluding last Sunday, the set of winners were announced with a unanimous approval from pageant fans and the likes. 24 year-old Laguna native Ariella “Ara” Arida was hailed victorious in white as she was crowned Miss Universe Philippines. I actually didn’t expect her to win the title because she played it under the radar for me. I thought it was the highly favored candidates like Charmaine Elima or Maria Angelica De Leon would be winning the crown prior to the pageant night. Lo and behold, Arida stepped it up big time and sailed through the pageant night like she was really supposed to be there. She was hailed as the best in swimsuit which easily catapult her to the semis (being called first) and she totally nailed the question and answer thus giving her the Miss Universe Philippines crown. A totally deserved win! Bea Rose Santiago’s win was expected. 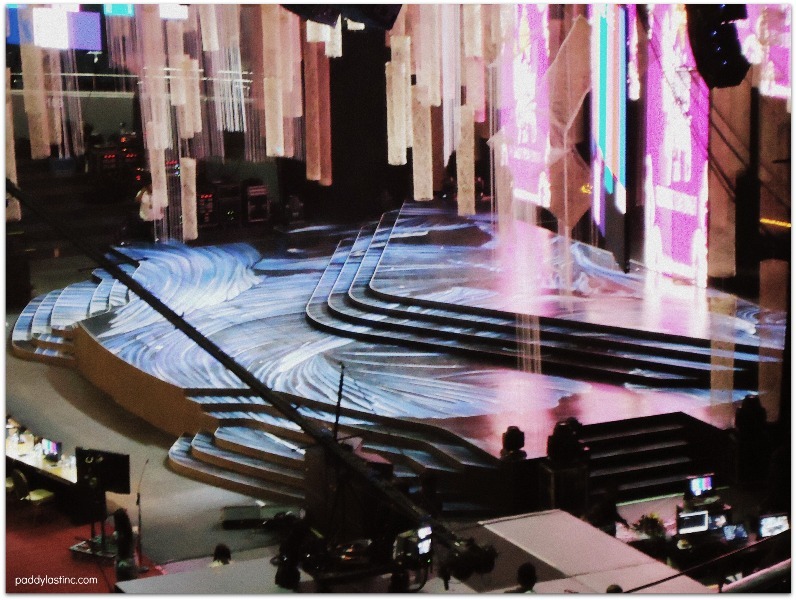 When she glided into that stage that night – I was just waiting for the results and see her head with a crown. After the question and answer, I thought she would end up winning the Miss Universe Philippines title. 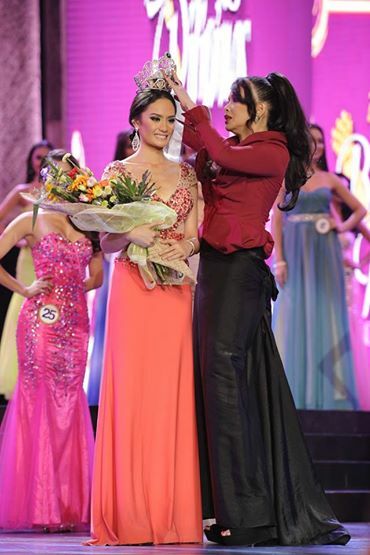 I was happy though that she bagged the Binibining Pilipinas International title. I have a feeling that she will be the country’s 5th Miss International winner! The girl has got it all – beauty, body and brains! Joanna Cindy Miranda was one of the crowd’s favorite that night. She was a sight to behold in pink! 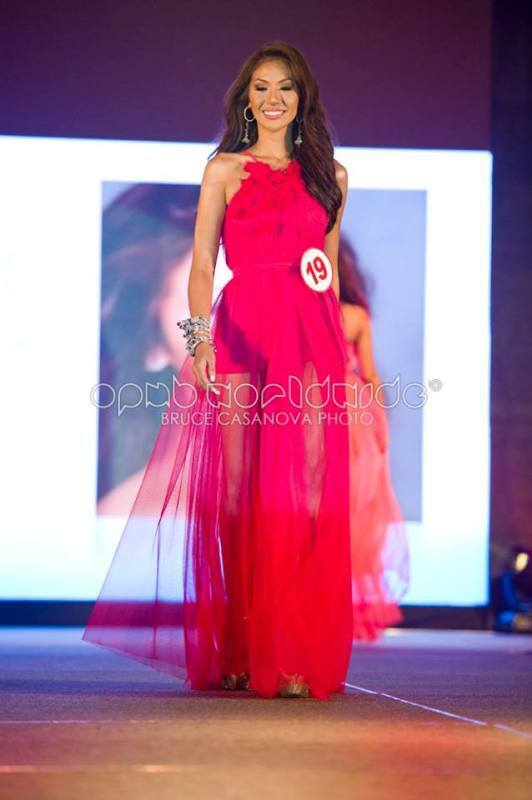 She was a steady player last Sunday, did good in swimsuit and evening gown round and gave a fairly good answer during the question and answer portion when she said the one word that describe her is “UNSTOPPABLE.” She was indeed unstoppable that night. 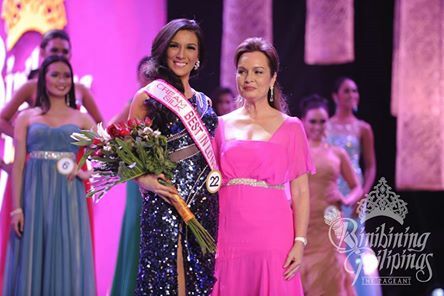 Congrats Cindy for winning the Binibining Pilipinas- Tourism! Mutya! Oh Mutya! Where did you get those lovely eyes? I predicted her to win the Binibining Pilipinas Supranational and she did! Mutya was the face of the evening! Her pasarela was perfect and she glided through that stage in swimsuit and evening gown with ease! I thought she would also win the swimsuit category along with the best in evening gown award! She was truly a “Mutya” that night! Her answer during the Q&A was decent. She made an effort to answer the question in English (which she isn’t comfortable at all) and she didn’t falter anywhere in that answer! It was short but precise. Yes, her accent may be a little funny but she was a natural! We all know that it’s her weakness but she didn’t show it and she made it all the way to win one of the crowns! I initially thought that they would give her the MUP title but I am now thinking that the judges made the right decision because she could REALLY WIN the first Miss Supranational for the country – it maybe a minor pageant but it’s growing! Lastly is the lone runner-up of this edition, Pia Wurtzbach. This feisty lady was touted to win either the Universe or International title but the other four are just stronger. The good thing about her winning runner up is that she could comeback next year until she turned 26. 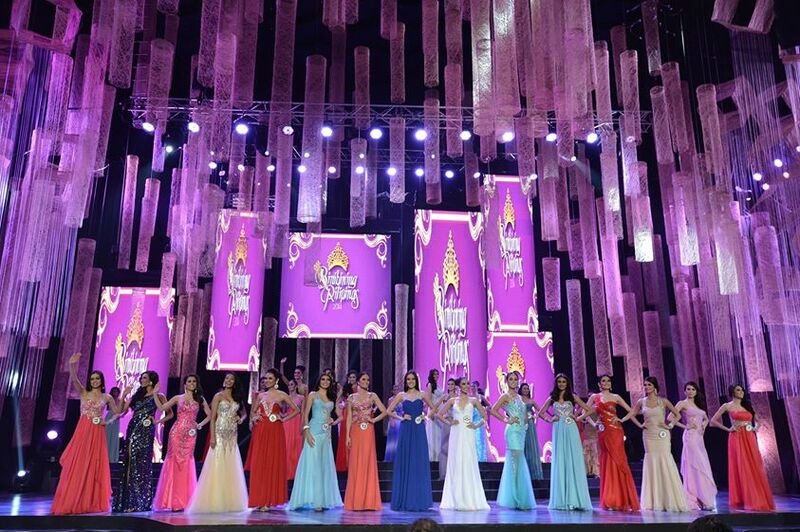 Rounding up the Top 15 are (in order) #45 Imelda Schweighart, #34 Grace Yann Apuad, #13 Charmaine Elima, #43 Rhea Nakpil, #46 Amanda Navasero, #22 Ellore Noelle Punzalan, #12 Camille Carla Nazar #31 Maria Angelica De Leon, #25 Merry Joyce Respicio #33 Parul Shah. Martin Nievera and Dawn Zulueta were the main host of the evening and previous queens Shamcey Supsup and Venus Raj are their co-hosts! It was overall a great show! I LOVED the first part when atleast 60 of the past pageant’s queens came together for the very first time on one stage and of course, the tribute to the National Director and owner of Binibining Pilipinas Madam Stella Marquez Araneta was really oh-so-touching! It was the first time that she went center stage in the 50 years of the pageant! 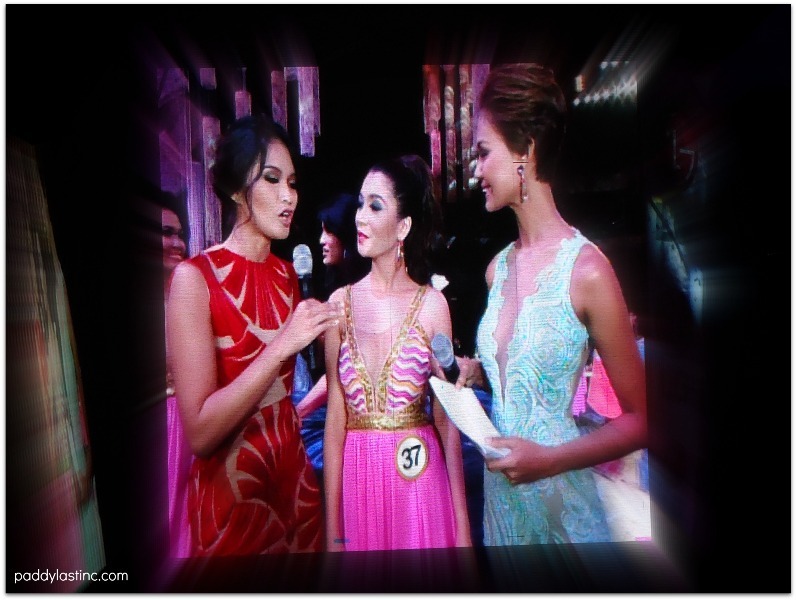 Last Sunday was truly historical – that golden age of Binibining Pilipinas!!! 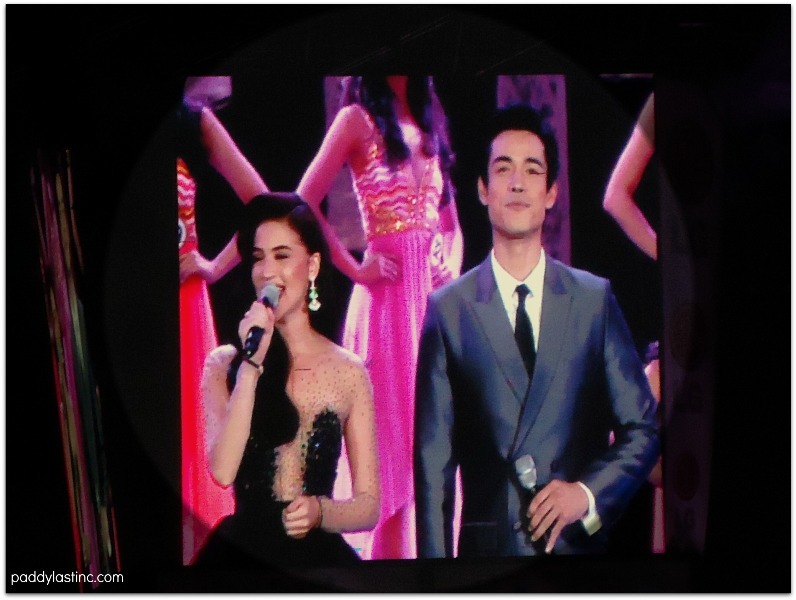 pictures are courtesy of Binibining Pilipinas magazine sold during the pageant night. Below are pictures of Maria Venus Raj and Janine Tugonon posing fiercely for the magazine! Ara is an outdoorsy person like Janine Tugonon. This 24 year old from Alaminos, Laguna loves going to the beach. Pia has been a member of ABS-CBN’s Star Magic since 2001. She’s touted to be a shoo-in for the Binibining Pilipinas-International title but don’t count her out for the MUP race. This mixed beauty from Cagayan de Oro won’t let go of that Miss Universe Philippines crown without a fight. Pia is under the tutelage of Jonas Gaffud, the “Osmel Sousa” of the Philippines. Here she is with her camp sisters Miss Universe Philippine delegates and Top 5 Miss Universe finalists Venus Raj – Miss Universe 2010 4th runner-up, Janine Tugonon – Miss Universe 2012 1st runner-up and Shamcey Supsup – Miss Universe 2011 3rd runner-up. Is she the next in line? Follow her official FB page HERE. Is Megan Young 2013 Binibining Pilipinas Bound? The uber-gorgeous Megan Young – is she the one? A lot of rumors and speculations are spreading around the blogosphere about the young actress “finally” joining the 50th edition of the Binibining Pilipinas. After the first runner-up feat of Janine Tugonon from last year’s Miss Universe, Pinoy netizens and pageant fans alike are already on the lookout for the next representative who could finally win that elusive third Miss Universe crown for the Philippines. Megan Young, a talent of ABS-CBN is being considered the best representative for the said pageant only if she decides to submit an application first and pass the screening process of the Binibining Pilipinas Organization. Last year, she was heavily rumored “to join” the national pageant but allegedly backed out up to the last minute for unknown reasons – or maybe this would explain it. In any case, if ever Miss Young finally decided to join the pageant – I’m pretty sure that she’d have the utmost advantage for being a celebrity and having legions of pageant fans supporting her – including myself so best of luck Megan!